It's finally here!! Our favorite season for crafting, decorating, and of course partying!! 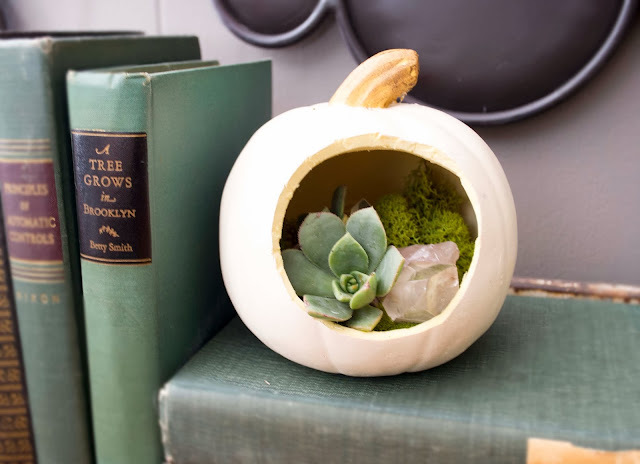 This year, create decor for your home that is classy, magical, and most importantly rad. 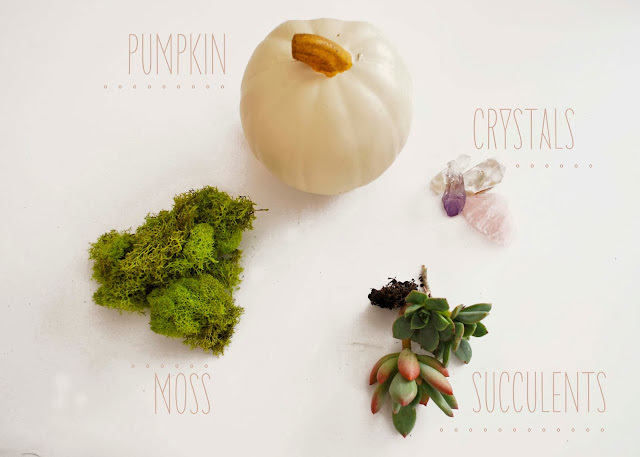 We are SO in love with crystals + mini terrariums that we turned a pumpkin into one. 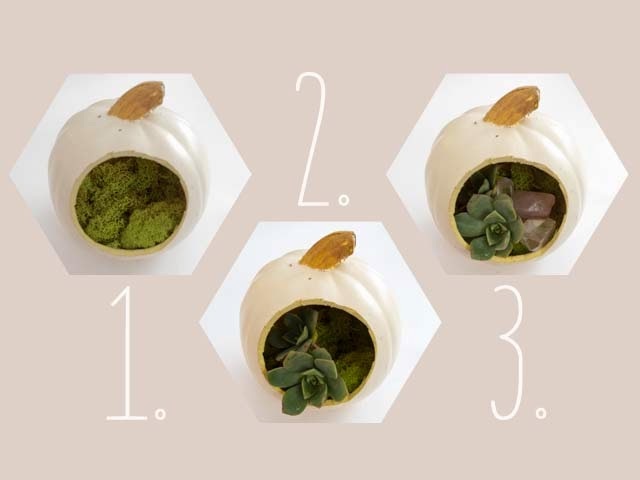 This project is perfect (and mess free) for your littles to get their hands on. . .